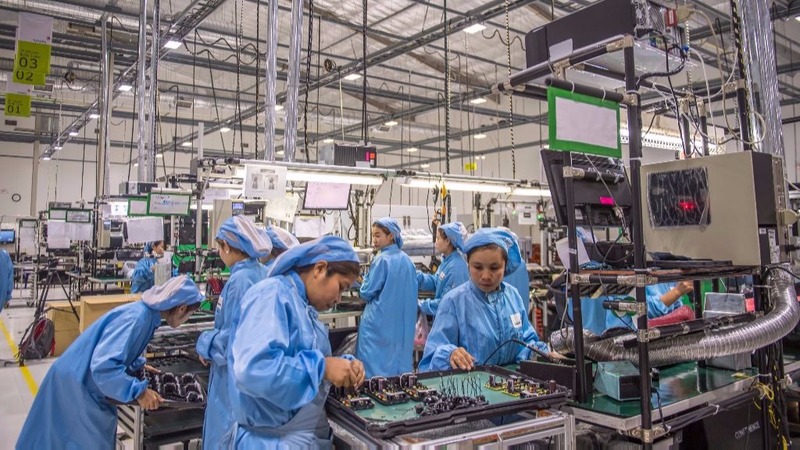 Factory workers assemble electronic products at Savan Park Special Economic Zone in Savannakhet, Lao People's Democratic Republic. Photo: ADB. Countries in the Greater Mekong Subregion recognize how a health impact assessment framework can help ensure that both businesses and communities benefit from economic zone development. What is a health impact assessment? Why is it important? A health impact assessment (HIA) is an upstream and systematic approach to health in development.1 It follows the principles of economics, social justice, and good governance. An HIA is used internationally as a tool to understand and manage the positive and negative effects of all types of projects on human health, including occupational health and safety impacts. It is a structured process that combines scientific evidence and community engagement to inform decision-makers about how they can maximize the health benefits and minimize the adverse health impacts of development. This includes management of health risks and surveillance and response mechanisms. Why is there a need for an HIA framework for special economic zones in the Greater Mekong Subregion? A special economic zone (SEZ) is defined in general as a geographic area where the rules of business are different from those that prevail in the rest of the country. This usually involves creating a business environment that is more liberal and effective. SEZs stimulate economic activity and is critical in sustaining the development of economic corridors, which link centers of production as well as centers of demand in the Greater Mekong Subregion (GMS). There are more than 500 SEZs in the subregion and more are being planned. SEZs are strategically placed along or near borders to boost regional trade and investments, and consequently draw transient migrant workers. As a result, SEZs hold unique health risks for both workers and communities, which can add pressure on health resources. On the other hand, they offer an opportunity to develop a community health approach that will not only protect workers’ productivity but also improve overall community health. How was the HIA framework for SEZs in the subregion developed? What are its main objectives? Countries in the Greater Mekong Subregion have agreed on the development of an HIA framework for SEZs. They recognize how it can help ensure that both businesses and communities benefit from economic zone development. The HIA framework for SEZs was developed with assistance from the Asian Development Bank, which has been providing HIA support to countries in the subregion. The Lao People’s Democratic Republic, Thailand, and Viet Nam have embedded HIA policies within their legislation. Cambodia and Myanmar have initiatives focused on strengthening health components within their environmental impact assessment process. The objective of the HIA framework is to ensure SEZ development results in both improved business and health opportunities. It does not seek to inform a decision on whether SEZ development should or should not occur. The HIA framework places people directly affected by or associated with SEZ development at the center, as they directly interface with the SEZ and related facilities and activities. While the framework has been developed for SEZs, the HIA approach is relevant to all industrial estate or zone settings. Who and how will the HIA Framework be implemented? What are the next steps? Country-specific guidelines were prepared upon the request of the Lao PDR, Myanmar, and Thailand. HIA scoping is being undertaken in these countries as well to serve as case studies, using an evidence-based approach. The case studies will be shared with other countries in the subregion. Promoting the use of HIA in SEZs and development projects will continue through existing regional program platforms, such as the GMS, Association of Southeast Asian Nations (ASEAN), and Central Asia Regional Economic Cooperation (CAREC), which are important mechanisms to maintaining border health. The proposed health strategy for the GMS recognizes the integration of HIA as essential to economic zone and border development. In August 2018, a regional forum will be held in Ho Chi Minh City, Viet Nam to promote harmonized health and economic zone development in the GMS. A key outcome of the forum is regional alignment on strategies to maximize health opportunities and mitigate health risks (including transboundary risks) in economic zone and border development. 1 ADB. Health Impact Assessment Sourcebook. Unpublished. Blog: We need to lower health risks in SEZs. Here’s one way. Are Special Economic Zones the Key to Unlocking Greater Economic Growth in the GMS?